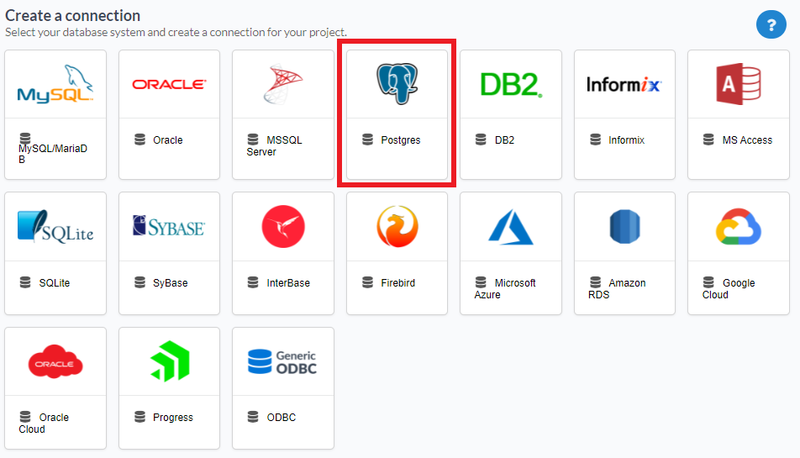 The automatic installation already comes with the PostgreSQL extension only needing to connect with the database. If you are using your own preconfigured environment, you will need to enable the PostgreSQL extension in PHP. The automatic installation already comes with the PostgreSQL only needing to connect with the database with ScriptCase. Connection Name : Defines the name of your new connection. 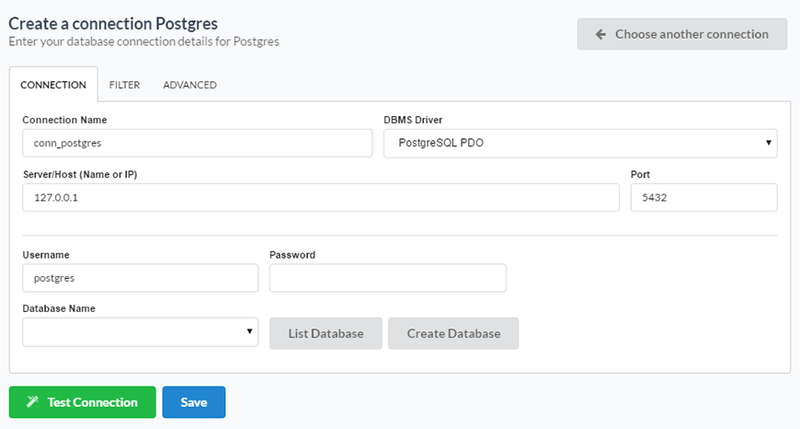 DBMS Driver : Allows you to select the drivers: PostgreSQL PDO. Server/Host (Name or IP) : Insert the name or IP of the server where the Mac OS X database is located. Port : Define the port used for the connection. By default it is 5432. Database Name : Select the database. Username : Inform the user to access the Mac OS X database. Password : Inform the password to access the Mac OS X database. Test Connection : Displays a message of the status of the connection if successful or not. Decimal Separator - Select the separator type, between a dot or a comma. Persistent Connection - Persistent Connection are connections that do not close when finishing a script. Use the schema before table name - Allows the use of schemas before the name of the tables. Show - Allows the display of the the filters on the tables, views, System Tables and procedures. Tables - Allows to setup the display of Tables from your database. Views - Allows to setup the display of Views from your database. System Tables - Allows to setup the display of System Tables from your database. Procedures - Allows to setup the display of Procedures from your database. Searches - Allows to define which tables and Owner will be displayed. Tables - Allows to define a prefix (prefix%) or name of the tables for display. Owner - Allows to define the owner of the tables for listing. Show - Allows to define what will be displayed or not from the table an owner’s setup.